The below Schematic Map Drawing gives a clear overview of Chengguan District in Lanzhou, The Capital City of Gansu Province. The Chengguan District stretches along the South and North River Bank of the Yellow River. The River passes through the City roughly from West to East. The Chengguan District represents the original Urban Center of the City, and is the 'Downtown' Area, the Most Important of the Five City Districts (Chengguan District (城关区), Qilihe District (七里河区), Xigu District (西固区), Anning District (安宁区) and Honggu District (红古区). Please Browse around the Map to locate the main historic Monuments, Landmarks and Hotspots of the City, as well as main Parks, Mountains and Rivers, useful Facilities and other noteworthy Buildings or Structures. 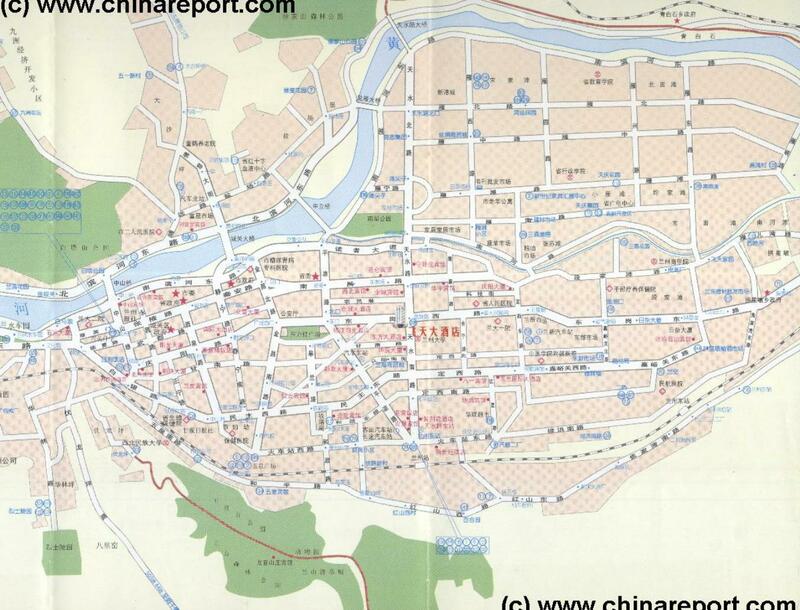 Compare Maps and Follow Links to more Information, Directions and Photos of Hotspots in Chengguan District of Lanzhou City.